Come and enjoy the full drive experience before arriving at Luddenham Raceway to enjoy the Go-Kart experience either a spectator or participant. Once racing completed indulge in a delicious BBQ Lunch at the track. Come and enjoy the full drive experience before arriving at the Luddenham Raceway. Register for 3 x 10 minute sessions which are timed to determine fastest on the day. This is a second registration after you have registered for Lunch or Drive only to enable Go Kart participation numbers to be determined. Luddenham Raceway Go Kart Experience Day followed by a BBQ Lunch Track Side. New date is 10th July due to postponement caused by weather. Bookings reopened. Another fabulous PCNSW fun filled day which includes 2 x 15 minute track sessions at Luddenham Raceway. Starting from Sydney Olympic Park. Meeting time 8.00 am for 8.30 am departure. 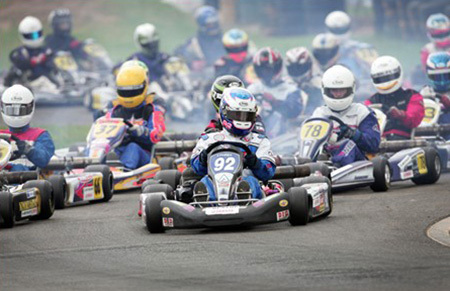 Come and enjoy some friendly rivalry at the world class Luddenham Go Kart Track (Optional) or simply watch and enjoy a refreshment whilst partners are having fun in the Karts. There will be 2 x 15 minute driving session for all drivers to determine fastest lap time on the day. After all the laps are completed you will indulge in delicious BBQ Lunch track side along with BYO alcohol. As a warm up on the day we will all enjoy a 90 minute scenic drive to the raceway in our beloved Porsche's starting from Casula. This promises to be a memorable event that ticks all the boxes, friendly competition, great driving roads, delicious food, and fantastic company as always. Go Kart Participation is $75 paid directly to Luddenham Raceway but please do a separate registration which is $0 to enable us to determine participation numbers on the day. A appreciation award will be presented for the fastest go kart driver lap of the day.